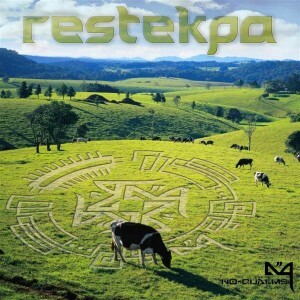 Compiled by Jekyll & Legacy, Restekpa is the second release from No Qualms Records, a label based out of the tropical North Queensland, Australia. As heard on Zero Point Energy, the focus here is on progressive psytrance with a Zenonesque twist, uniting dank and groovy beats with heavy atmospheres and trippy effects. Mastered by Felix (Terrafractyl). MP3 Download | FLAC Download | WAV Download · Download count: 13,845. Eaah OZZZ!!! !special thx to Felix!!! What’s up?? since around 2 weeks i cannot download anymore. and i really would like to fill up my mp3 player with fresh, good music. hope u all enjoy the tunes, plenty more to come!! Wow! Track 7 is awesome! I love Anatamous Audio! Love the tunes, smashing stuff, only problem is every time i download WAV or MP3, the files are corrupt, whats up? if ya have trouble here..try http://noqualmsrecords1.bandcamp.com/ yewwww cheers everyone!! Very no coment´s albumm .. killer ´s tracks !! Special : JEKILL – Livin ´ booyoh !! my god , this for dark moment´s in mainfloor ! :) cheers! my brother lives in brazil, would love to visit, and of course would love to play tunes at brazillian party!!!!! Really like Endure on this one! !